Yet Blok captures their vulnerability and a steely defiance beneath the bravado. 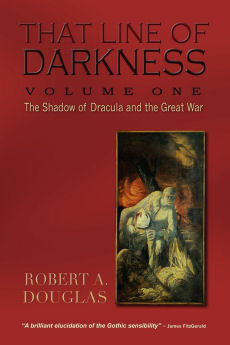 As the men trudge through the raging snowstorm waving their red flag, they are barely able to contain their own fear and raw anger, shooting at phantoms, confusing a dog and snowdrifts with the enemy that “Is Near and Won’t Let Up!” The poem’s terrible vignettes then shift as he concludes on a spiritual note: on the shoulders of the young Red Guards, angel wings appear as they, the apostles, follow behind Christ who is wearing a wreath of white roses. 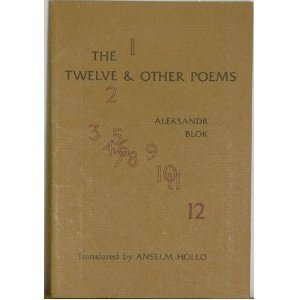 Blok encapsulates the myriad of emotions experienced by these young men and simultaneously communicates his mystical faith in the radical spirit of Bolshevism. By conflating revolutionary violence with Christianity, Blok shocked and estranged his fellow poets and friends, notably Anna Akhmatova. Within a couple of years, however, he realized that his belief in revolutionary violence as a temporary purgative for the country’s past sins was completely misplaced. Blok’s initial attraction to the Bolshevik cause needs further explanation because his spiritual faith corresponds to that of those who embraced the new ideological faith. How could an intelligent, sensitive poet of the gentry be drawn to a movement whose ideology was destined to sweep away his class? 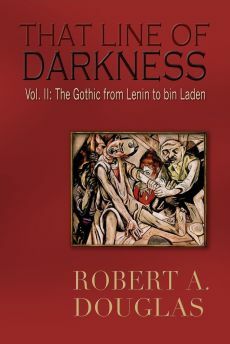 Part of the answer lies in his horror of the carnage of the war with its “impenetrable darkness all around.” The war, that had fuelled the nihilistic rage of so many against bourgeois order, was destroying civilization, of which he was a cultivated product. The Bolshevik Party was the only political force to call for an immediate end to the war. Besides the revulsion that he shared with many of his friends, there was a yearning for something more. He believed that out of the ashes of this cataclysmic upheaval, financed with international capital and fought on the virus of nationalistic fervour, a revitalized internationalism would emerge. The representation of the actions of the young men in “The twelve” symbolized Blok’s hope that a moral cleansing, even if vulgar and repellent would purify and be a prelude to spiritual rebirth. 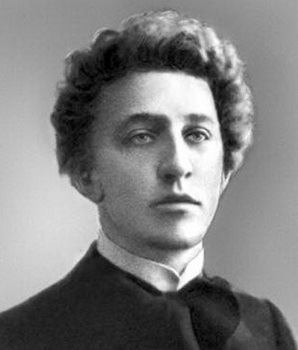 Blok’s belief in the Bolshevik messianic mission appears on the surface to be similar to the Party’s embrace of Marxism. For its followers, however, Marxism was not a faith but a science that pointed to the development of communism. Unlike socialism that inspired the woolly headed romantic dreamers of the past, Marxism followed precise demonstrable historical laws that the Bolshevik Party, renamed Communist in 1918, interpreted as the agent of those general truths. Their version of history decreed that the October revolution was irreversible and that the inevitable transformation of Russian society into a workers’ paradise would occur as long as the proletarian dictatorship, presided over by an elite vanguard as its guide, was protected from bourgeois or counter-revolutionary sabotage. To ensure that transmutation justified any means: the crushing of enemies, destruction of historical institutions, manipulation and lies. For its followers, all crimes, excesses and mistakes committed by the Party were the necessary price for fulfilling its historical destiny. However vehemently they believed that history was on their side, the believers also had to accept that the Party elite possessed the repositories of truth and that no deviance was permitted; any divergence from this secular theocracy was heretical, even treasonous because it could undermine the Party’s lofty mission. The evangelical undertaking included the promise of universality, that is, that the historical experiment the Party was creating would spread to the West and to the rest of the world; it would become the avant-garde of humanity. That utopian belief was the premise behind the creation of the “Third International” wherein the Party endeavoured to extend its tentacles throughout the world through Communist Parties created in its image. Without that faith, the Party could not sustain the loyalty of its adherents. The dehumanizing propaganda rallied the faithful and mobilized them into action, but that in and of itself would never have been successful without the faith of the ideology: the belief that from the dialectical conflict between capitalism and socialism would emerge the earthly salvation of communism. This faith armoured the believers against “bourgeois humanism” and justified the enormous sacrifices and deprivation that they endured. The same was exacted from the refractory masses, in whose name they were changing the world, at times through the committing of cruelties and the shedding of blood. Blok’s recognition that a violent purging may be a temporary necessity was strikingly different with the Bolshevik faith that demanded and received a psychological investment rendering it impervious to rational discourse even when based upon empirical evidence. That faith required from its members, in the interests of the Party, an unquestioning obedience and acceptance of its ideological certainties, extraordinary energy and an indomitable will to place their public commitments above their own and their family’s well-being. Blok’s faith was less ideological and more of a questioning religious nature that left room for doubt and internal struggle and the possibility of rejection of external phenomena while holding onto something within. Within a year, his doubts grew and he could no longer “hear the music.” He became depressed, could not write poetry, and spoke of himself as already dead. When he suffered from a heart attack, Maxim Gorky tried to arrange for him to receive medical help in Finland but Lenin fearing that Blok would speak against the revolution refused. 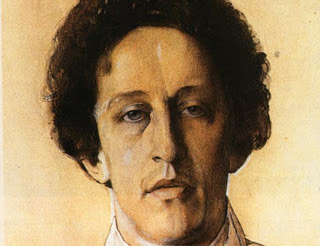 By August 1921 one of the most distinguished poets of pre-revolutionary Russia was dead.